contributions by Kanner and Asperger, are reviewed in relation to DSM-IV diagnostic criteria. Their original articles appear to have influenced the distinction between AD and autism made in the DSM-IV. these areas, not the manifestation of qualitatively distinct disorders. The DSM-IV criteria for AD and autism need to be considered with their historical developments, and based on empirical evidence, the DSM-IV diagnostic criteria may be subject to critical review. the USA in 1981, one year after the introduction of DSM III. It was further not fully translated into English until 1991. Amazing. 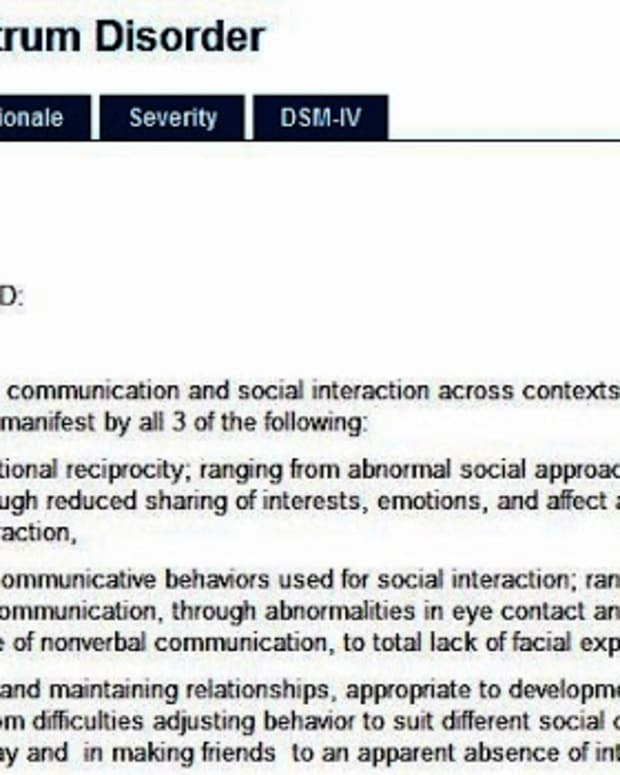 There is apparently talk of separating autism and aspergers in the new revision of the DSM. Based on the contents of this paper I’d say that is very premature.